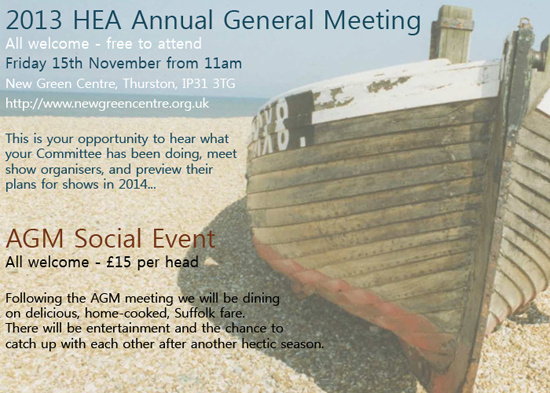 We hope to see lots of you at the AGM this year. Suffolk is a lovely county, with lots to offer, so why not find out more - you may be tempted to linger a little longer. For tickets please contact the HEA Secretary asap, or complete the paper form sent out with the most recent newsletter.